Short forms – do we really need them? When I was younger I trained Shaolin gongfu - the Malaysian master of the system placed great importance of having a sense of history. Of seeing yourself as a link in a chain – the art flourished before you came along and it was up to you to see that it carried on to following generations in its true essence. 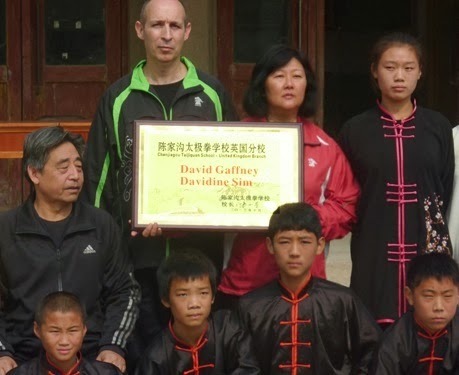 Chen Taijiquan players are rightly proud of the fact that Chen style is the parent style from which all the major branches of Taijiquan can be traced. Since Chen Wangting created the system at the end of the Ming dynasty the two most significant changes were probably Chen Changxing’s reclassification of the original forms into the Laojia Yilu and Erlu; and Chen Fake’s development of the New Frame routines. Both Chen Changxing and Chen Fake were renowned masters at the height of their skill when they made these modifications, both of which have stood the test of time. How does this compare with the plethora of short Chen forms that are springing up all over the place? Off the top of my head I can think of the 56 Form, 38 Form, 36 Form, 32 Form, 20 Form, 19 Form, 18 Form, 13 Form, 11 Form, 9 Form, 8 Form… Can you see where this is going? I can sort of understand where one of the grandmasters develops a short form, saying that it is for people who do not have time to practice the traditional routine. But what of the grandmasters students then taking the process further? For example, one of the current grandmasters created the 18 Form and then one of his close disciples creates a 9 Form. Why? Or the new 13 Form that is going all around the internet at the moment – if it is supposed to be a “simple form that can be learned in a week”, why are all the difficult kicks left in? The late Malaysian Taijiquan master Huang Sheng Shyan – disciple of Zheng Manqing – had a few sayings that I really like. He said “learn less and practice more” and “don’t be content to be the student of a successful teacher, make a success of your own practice”. If we want to be like any of the top masters, then we must go through the same process they went through. That means following the traditional forms. For those students who either cannot or don’t want to go through the full traditional syllabus why not just teach the beginning of the traditional form – this is what we do in our school. In Chenjiagou they would train “San Jingang” – that is the first fifteen movements of Laojia Yilu (up to the third Buddha’s Warrior Pounding Mortar). Do we really need all these new forms, or should we put our faith in the traditional ways and just get on with putting our time in?